Difference between Deadzone, Range, and Button Threshold? I feel a little confused about the difference between Deadzone, Range, and Button Threshold. Could you please tell me? Last edited by scju; 05.02.2019 at 04:43. If you put the deadzone to higher than 0, movement won't be sent to the game at all unless the stick is moved that much. i.e. it's mainly for unstable/faulty controllers. I use 0 unless I notice a hardware problem. Games have their own deadzone usually anyway (e.g. a character may not move at all unless the stick is moved for 10-20% for example). Not sure what button threshhold is. It's a cryptic phrase. Maybe a 'deadzone' for analog buttons. Ask petergov (the main dev of controls) on discord to get an exact answer. 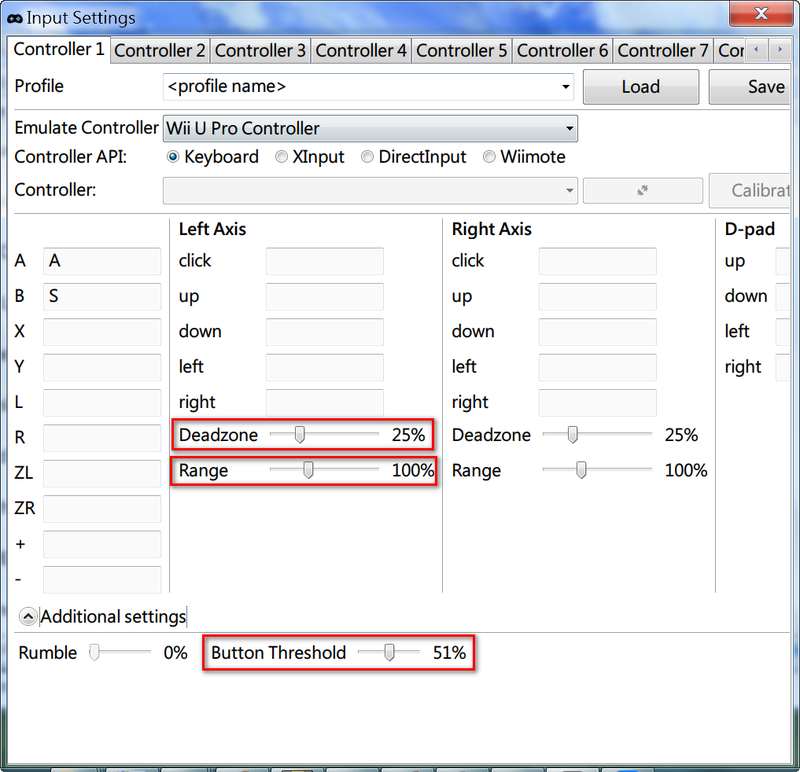 update: If you use the calibration feature, you may be able to get away with some controllers initially reporting wonky ranges. Last edited by epigramx; 05.02.2019 at 09:40.